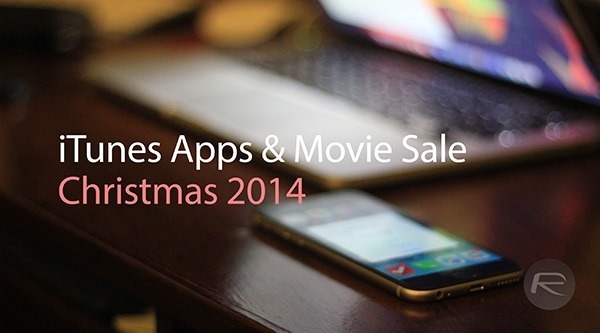 The year’s coming to an end and as part of its Christmas sale, Apple is throwing an array of digital goods your way. If you have a bunch of unused iTunes gift cards lying around, or are rather in the mood to go on a digital shopping spree for the best movies and apps available on iTunes and the App Store, read on after the jump to check out all the movie bundles, and discounted and free popular iOS apps currently on sale. Movie bundles remain a steal of a deal, allowing users to grab more than one title at a much lesser price than had the movies been bought separately. There are a bunch of movies to choose from, but ahead of the pack are movies such as the all of 23 Bond films which costs $299 in total is now available for just $99. Movie bundles are also available for titles such as Harry Potter Collection, The Dark Knight Trilogy, The God Father Trilogy, and more. All offers are there for a limited-time period according to Apple and we’re not sure exactly how limited the offer is, so you might want to hurry up. All of the movie bundles listed above are available to download from iTunes Store. If you’re looking for some apps to populate that empty home screen of your iPhone and iPad, then read on for a list of titles available for free and those that are seeing a price drop as well. Let’s begin with a list of free apps / games first. Here’s a list of apps / games that are seeing a price drop on the App Store. All of the above listed free and discounted apps can be downloaded directly from the App Store on iPhone or iPad. Splashtop remote desktop is still showing as a paid app for $4.99 and not free yet. I would love to get this for my iPad because it works great on my iPhone 6.